North Seattle College is seeking to fill a full-time tenure track position in its Networking and Information Technology (IT) programs to begin September 2019. The IT Program at North has a focus on networking with additional courses in programming and IT security. Our degrees and certificates include Network Administration, Programming and Network Support, Web Applications, IT Controlled Electronics, Microsoft Windows, Cisco CCNA, and Linux and Security. It also serves as the first two foundational years for our Bachelors of Applied Science degree in Application Development. Class assignments may include day, evening, hybrid, and/or online. Other responsibilities may include assistance with student advising, program development and program review, coordinating the department, active involvement in division activities, participating on college and/or District committees, participation in performance evaluations, creating and implementing a professional development plan, and other professional obligations as described in the faculty union agreement. In addition, the instructor will work with faculty, community members, and staff to re-envision the curriculum as needed. First-time college students, retraining workers, as well as students with previous degrees comprise the student body. It is expected that the instructor will teach and work effectively with people from diverse backgrounds. Tenure-track faculty at the Seattle Colleges represent their departments and divisions in the college and district at large, participating in and supporting shared governance committees and initiatives. The salary for this position is based on a 9-month contract (September-June). Additional opportunities may be available to increase pay in the form of summer quarter instruction, curriculum development, and/or coordination. This position reports to the Dean of Workforce Instruction. Cover letter addressing qualifications, skills, and abilities required for this position. A diversity statement (400 word maximum) in which you share your view of diversity in higher education, in the supplemental question. Note: As part of the interview process, you will be required to do a teaching demonstration of some basic technical principle or concept. Candidates should be willing to teach in a variety of formats such as in-class, hybrid, online and varied class times including days, evenings, and weekends according to program needs. Seattle Colleges are committed to recruiting dedicated faculty and staff who together create a welcoming academic climate that reflects the diverse backgrounds of our community, including ethnicity, national origin, religion, race, gender, gender identity, age, status as a veteran or disabled veteran, disability, political status, and sexual orientation. Prior to a new hire, a background check including criminal record history will be conducted.? 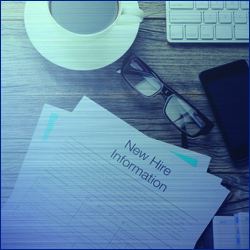 Information from the background check will not necessarily preclude employment but will be considered in determining the applicant's suitability and competence to perform in the position. This position is governed by a collective bargaining agreement with representation by AFT-Seattle and is subject to union shop provisions. Work effectively as part of a team, as well as independently. Contribute to IT student success by offering support of learning both in and out of the classroom. 2 years of work experience in an IT related field. Industry training experience and/or teaching experience with a focus on assessment and student success. Evidence of collaborative work within an organization. Demonstrated commitment to inclusion and the ability to work effectively with populations of diverse backgrounds and life experiences.